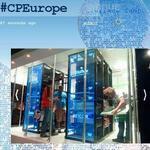 Now Berlin has its Campus party. 10 000 gather in the old terminal of Tempelhof Airport. Great Elders and Juppi's meet for a week I will try to come again and again as some of the topics are really relevant and dear to me. Check the site and programme!! Campus Party was founded by Paco, Belinda, Pablo and Yolanda in Malaga in 1997. These four friends were united by their passion for new technologies and wanted to create a space where others with the same interests could come together. The group was influenced by a RTVE2 television documentary about the demo parties that had just begun taking place in Northern Europe, and wanted to bring that model to Spain's geeks. They were joined by EnRED, the youth association of Benalmadena, Spain and other friends who collaborated to bring the concept of Campus Party to life. The first Campus Party drew 250 people for the weekend, and the event quickly gained traction and a following: the number of attendees doubled for the second edition. Two years later in 1999, E3 Futura Association was founded as a non-profit organization with the objective of making technology in all its diverse forms more accessible to society as a whole, and to create forums and educational programs that promote innovation and responsible participation in digital culture. Headquartered in Madrid, the organization now has offices in Colombia, Mexico, Brazil, Ecuador, Peru, Germany and the United States. 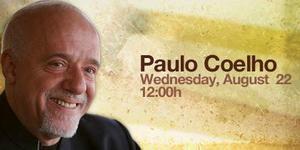 I will check many booths and just come from Paulo Coelho. How the new media interfere in the creative process Paulo Coelho is considered to be one of the most influential authors of our times. He is the best selling author of The Alchemist, and his books have sold more than 140 million copies worldwide and have been translated to 73 languages. He was born in Rio de Janeiro in 1947 and discovered his vocation for writing early on. He worked as a director, theatre actor, composer and journalist.